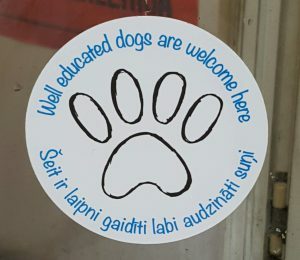 Is Riga the most doggy friendly city in Europe? 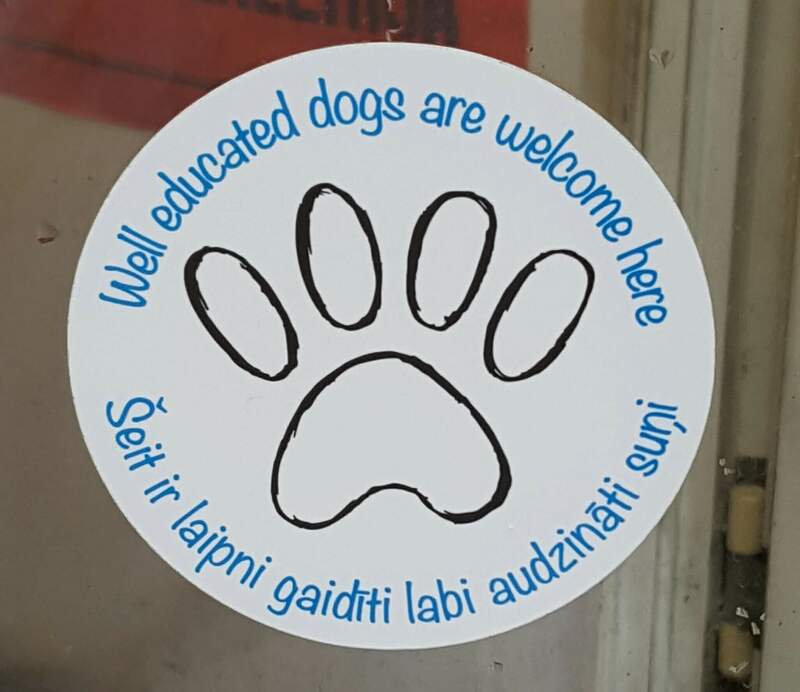 My humans Steve and Ann have been holidaying in Riga, capital of Latvia and (not for the first time) I wished they had taken me with them. Steve emailed me this photo recently. He thought it was a nice touch. I did too. As I have my own Twitter account @MaiziMutt and my own blog, I’m definitely ‘well educated’ aren’t I? But do you think the restaurant would need to see my last tweet before I was allowed in? 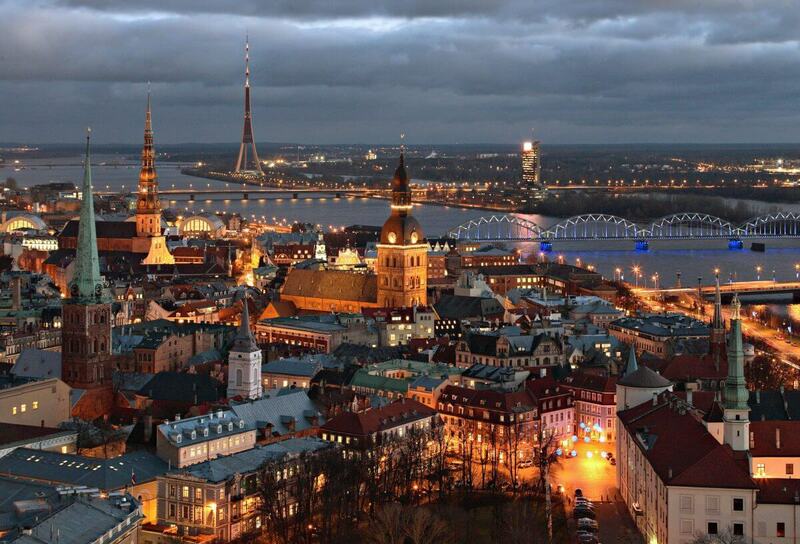 The internet tells me that Riga is a cultural centre with museums and concert halls – in fact it was European Capital of Culture just 2 years ago in 2014 – its known for its wooden buildings, medieval Old Town and art nouveau architecture. And because it’s set on the Baltic Sea at the mouth of the River Daugava, Riga offers a wide range of water activities, from canal boat tours to beach swimming. I think if Steve and Ann go to Riga again they really should take me next time. What do you think?